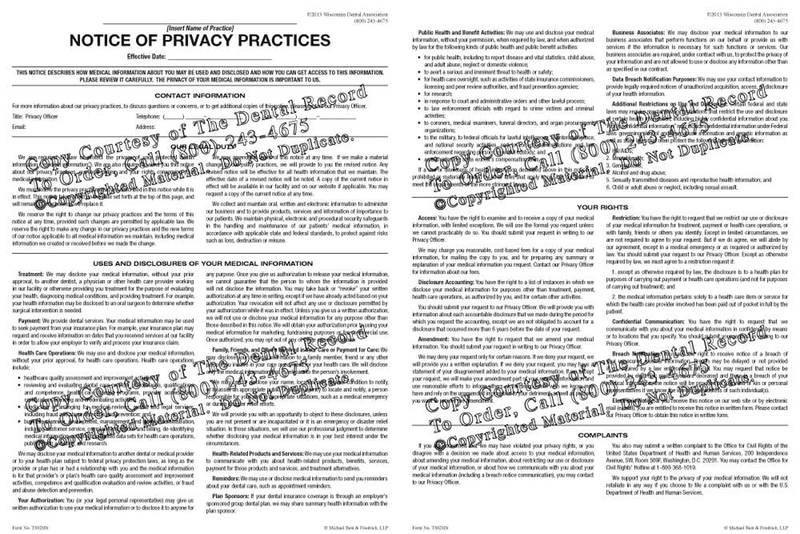 The Notice of Privacy Practices document is given to patients to outline the privacy procedures your dental practice follows. This form is compliant with the 2013 Final Omnibus Rule of HIPAA. An Electronic version of this form is also available separately. 100 forms per tablet. 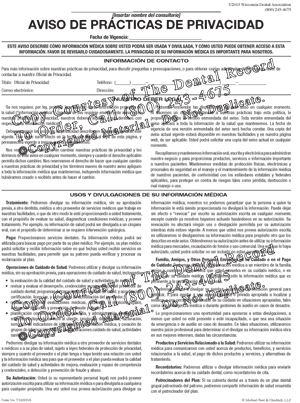 This form helps you inform patients of the HIPAA mandated laws. This form is compliant with the new 2013 Final Omnibus Rule for HIPAA.